​The first collaboration for Norwegian fashion starlet FWSS, is with no less a company than New Era Caps. Instant classic. New Era has been a long time favourite of Blender Agency, and indeed the company did represent New Era in Norway for a brief period, before BomBom Mustad and Curious Minds appropriately took over. A few years ago Blender Agency initiated a collaboration between New Era and favourite football team Stabæk, and now, once again, it has initiated a New Era collab, this time with the ever so relevant FallWinterSpringSummer. 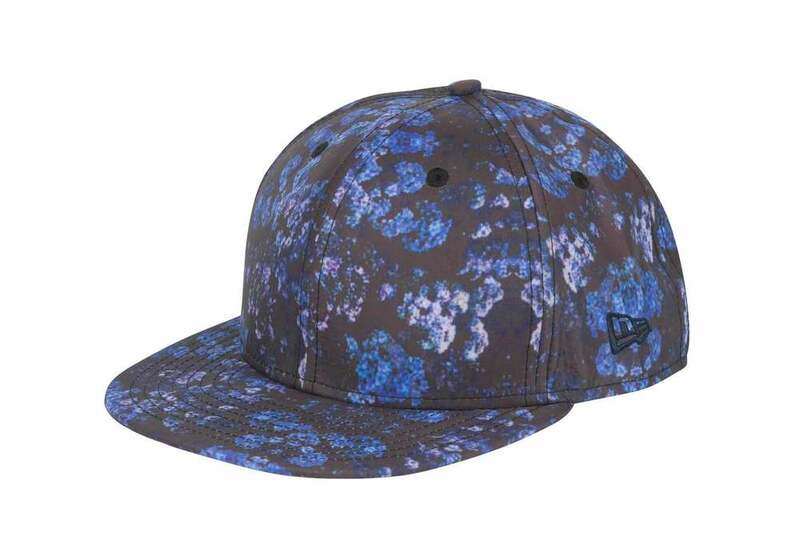 The result is the marvellous Kinski Assasin floral printed snapback, produced in two colorways; Blue and yellow. Both available now, from a limited amount of FWSS suppliers. New Era Cap Company Inc.™, the largest and fastest growing headwear manufacturer in the United States, has an 87-year-old tradition of creating quality products that transcend time, culture, sport and fashion. Although New Era® is rooted in sports heritage as the official on-field cap of Major League Baseball, they have evolved into a brand that can be seen on the runways of Paris during Fashion Week and in hundreds of music videos on MTV. New Era is seen as an iconic brand that celebrities, entertainers, musicians and athletes are seen wearing today.